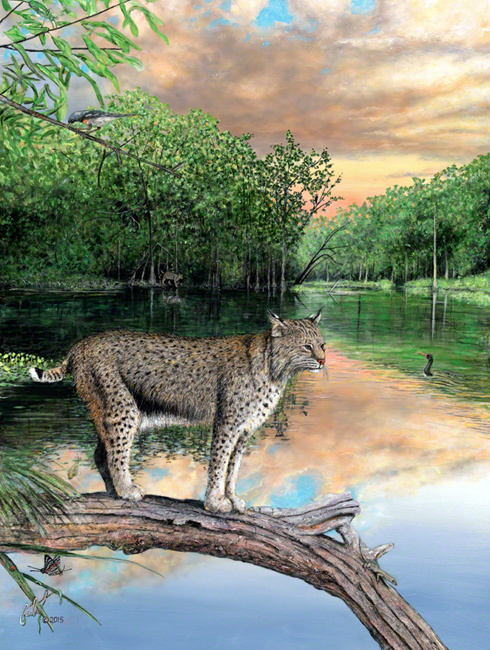 Peter R. Gerbert's "Where Bobcats Prowl"
The Florida Bobcat on the prowl... 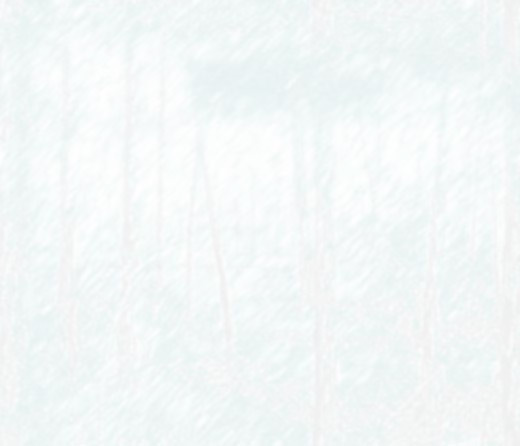 Intensive research went into this painting design. 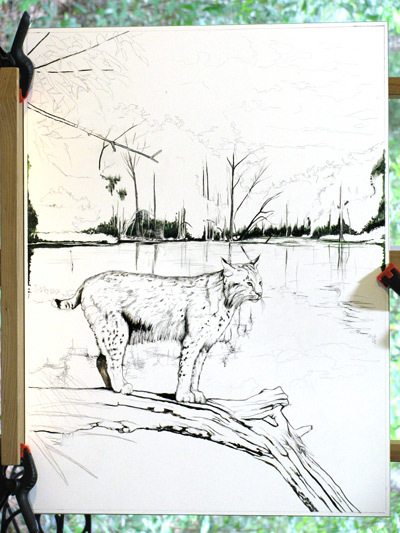 I went on many hikes, camping, visiting places that had Bobcats in captivity for detailed photographs, and then weeks & weeks of brain-storming and design-work. The most delightful person who hired me to do this painting, asked for a number of elements including the words “colorful, clouds and a cheerful mood.” I don't think the painting would've turned out quite this nice, without her involvement. There are a total of ten living creatures included in this painting. Can you find them all? A very Special Edition, Limited Edition Print is now available, signed & numbered by the artist only to 50. 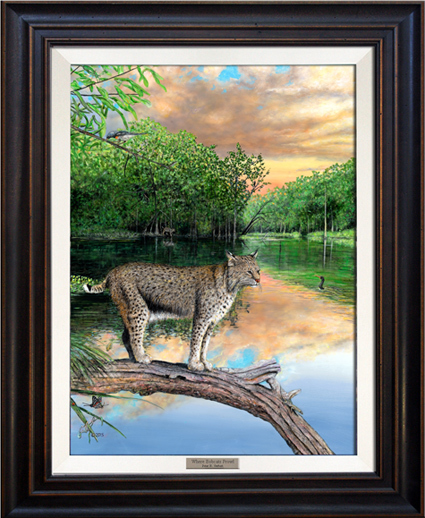 A portion of the proceeds from the sale of this very Special Limited Edition Print will directly benefit conservation efforts in Florida.